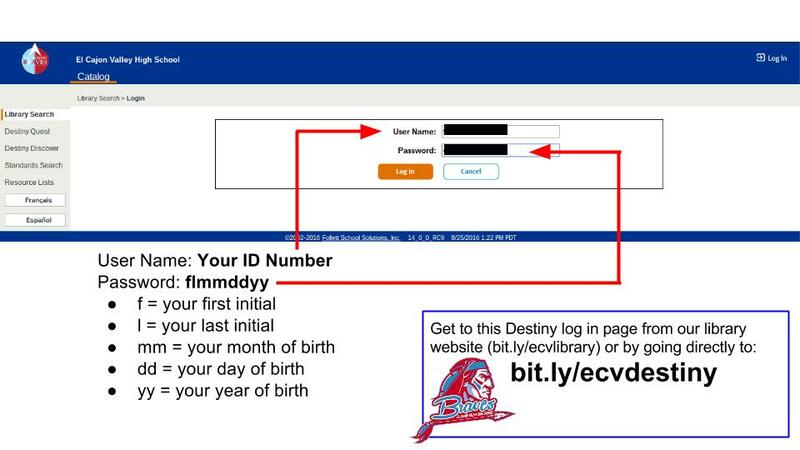 Destiny is the name of the library cataloging tool we have in all GUHSD libraries. 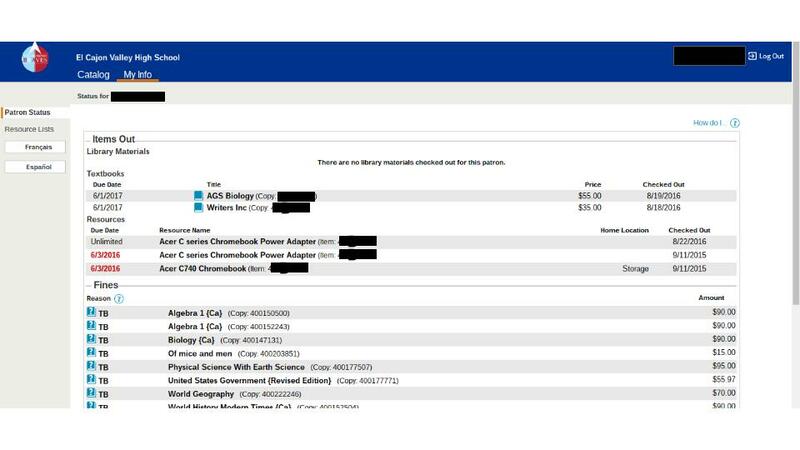 This is the system we use to organize what we have in our libraries as well as who has borrowed items from our libraries. 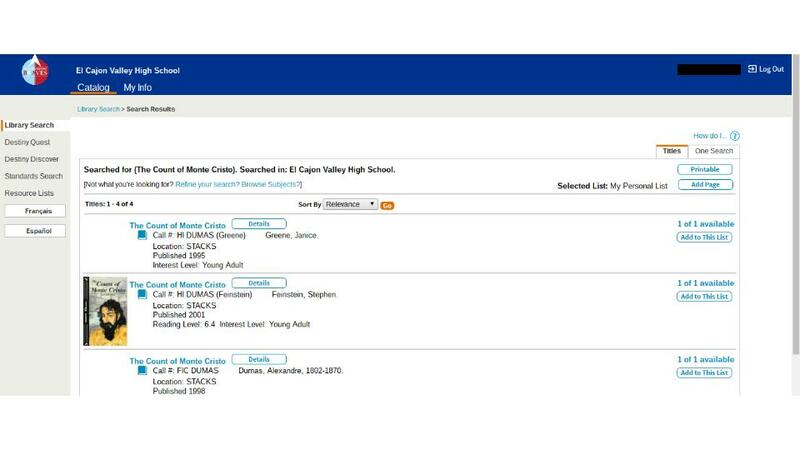 Destiny also keeps track of textbooks, Chromebooks, and other resources that schools check out to students. Click on the Log In button in the upper right of your screen. You can search by title, subject, keyword, or author. If you would like to narrow your search, you can use the filters in the "Narrow your search to..." box. 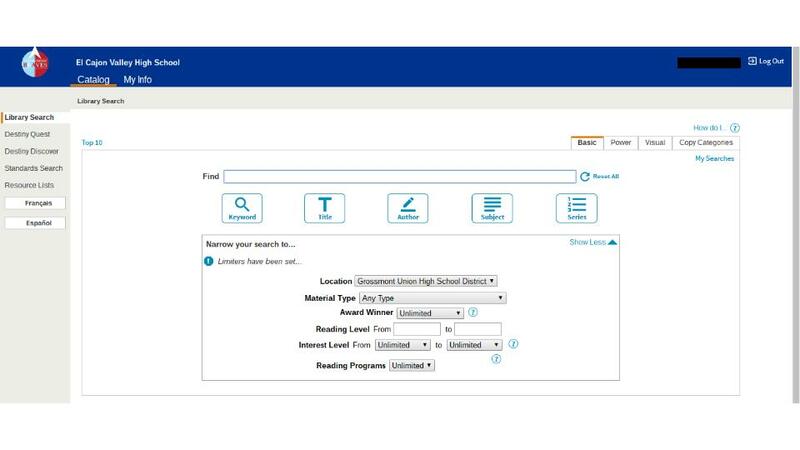 The search results page will tell you whether or not we have materials related to your search. 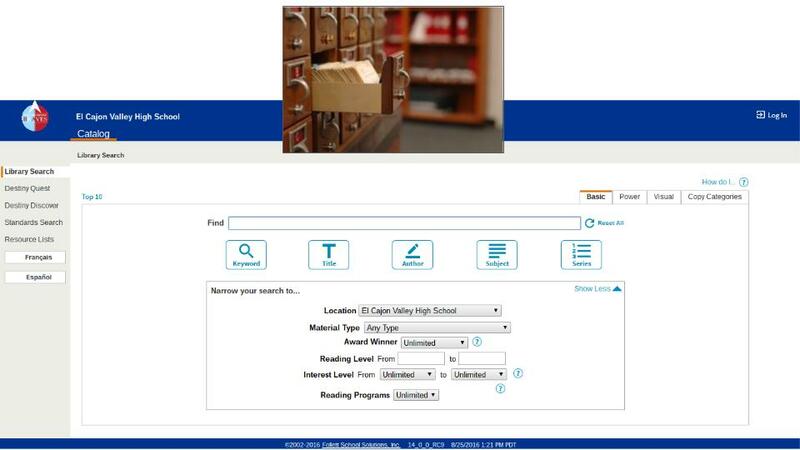 If we do have items related to your search, you will be able to see whether or not it is currently available and where it is located in the library (the call # shows where to find the item in the library). Use the call # to find the physical location of the book in the library. If the call number begins with a number, then it is probably in the nonfiction section of the library. If the call number begins with an author's last name, then it is probably in the fiction section of the library. What if the book you're searching for is not in our collection? 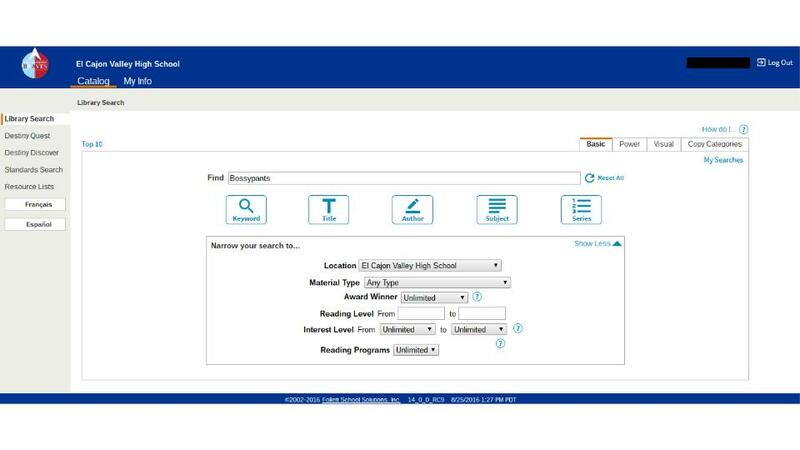 You can ask Mr. Devine to add the book you want to our collection (adevine@guhsd.net), but you can also check to see if the book you're looking for is at another GUHSD library. In a search for this title in our library, no matches were found. But don't give up! You can check other libraries! 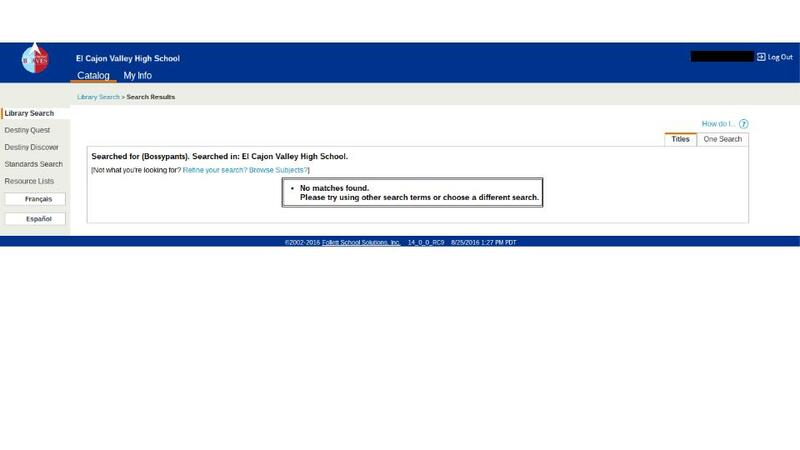 Go back to the search page, and run your search again. 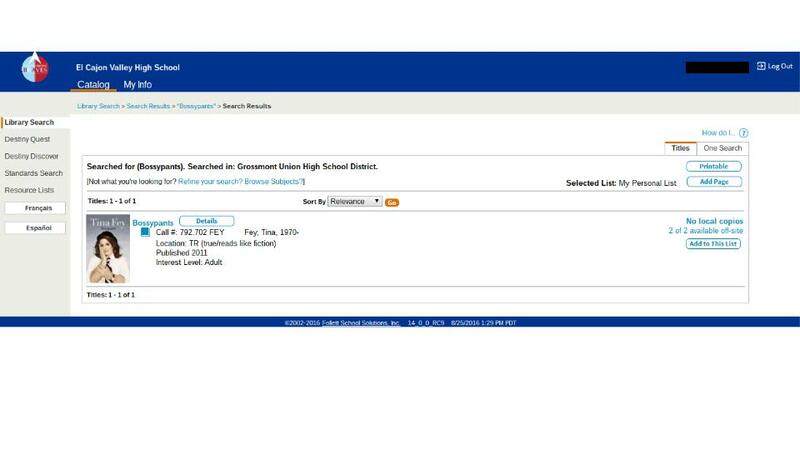 But this time, under Location, select "Grossmont Union High School District." Now you're searching the entire district for the book that you want. 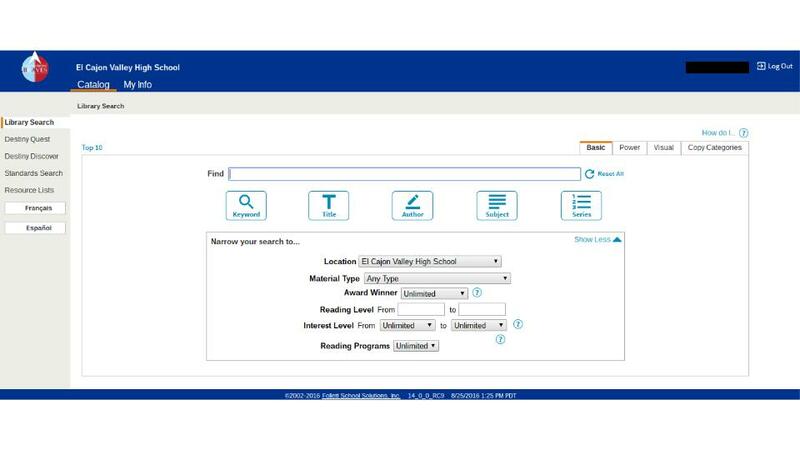 If the book you're searching for is in our district, this is how to find it. Notice that with this request, it says "No local copies." That means we don't have any copies of this book in the ECVHS library (yet). 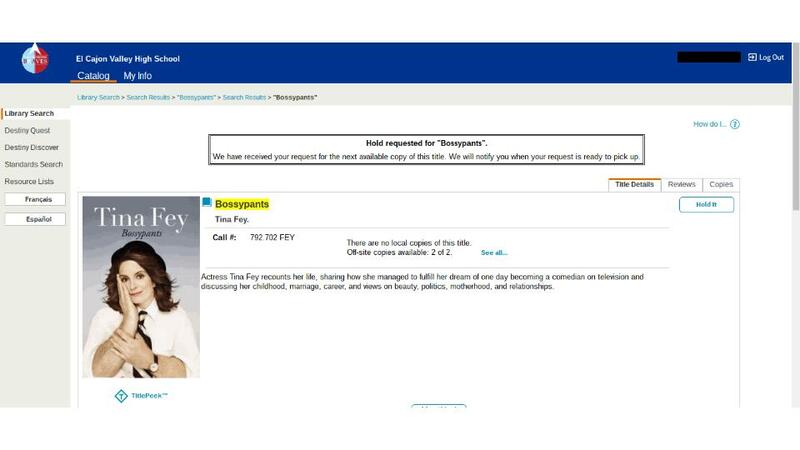 ​To request this book, you would click "Details." On the details page, you can click "Hold it" to request a book. This page confirms that you have submitted your hold request.